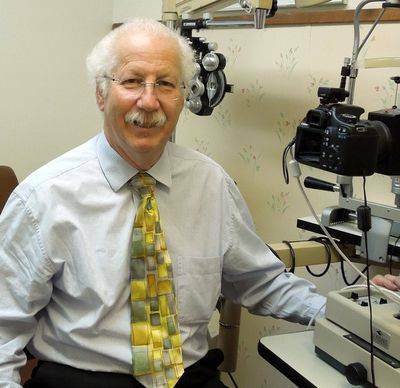 Dr. Robert Ring is your San Diego Optometrist! Dr. Ring has been in practice since 1976, living in San Diego since 1985. He is a graduate of SUNY at New Paltz, graduating with honors with a Bachelors of Science Degree in Physics. He received a Bachelor of Science degree in Visual Sciences and his Doctor Of Optometry degree from the Pennsylvania College Of Optometry. As an advocate for patient care and the standards that Drs of Optometry are held to, Dr. Ring has held numerous positions in the local Optometric Society as well as on the State level. Dr. Ring is a Past President of the San Diego County Optometric Society, member of the Board Of Trustees of the California Optometric Association, Chairman of the State Association Health Care Delivery Committee, writer for the California State License Exam and an Expert Examiner for the National Board of Examiners for Optometry. Dr. Ring’s interests are in primary eyecare, treatment of eye diseases and post surgical specialty contact lenses. Dr. Ring is a member of the American Optometric Association, California Optometric Association and the San Diego County Optometric Society. He was one of the first Optometrists to be therapeutic certified in the state and is certified to treat all condition as allowed by law.